The Windy City is not only known for its close location to Lake Michigan but also its wealth of photo opportunities. Chicago is a very diverse city that includes many different nationalities, styles, and architecture. You’ll find well known picture-perfect spots as well as tucked away surprises to frame during your visit. Check out my dream guide to Chicago that fellow photographers will enjoy using for that perfect shot of the Windy City. The accessibility and beauty of Lake Michigan is a vital part of Chicago’s history. The lake provides water access to the Chicago River which winds itself through downtown. Lake Michigan is the steady piece of the Chicago landscape that never seems to lose its touch. You’ll find many scenic spots along the lake to photograph. 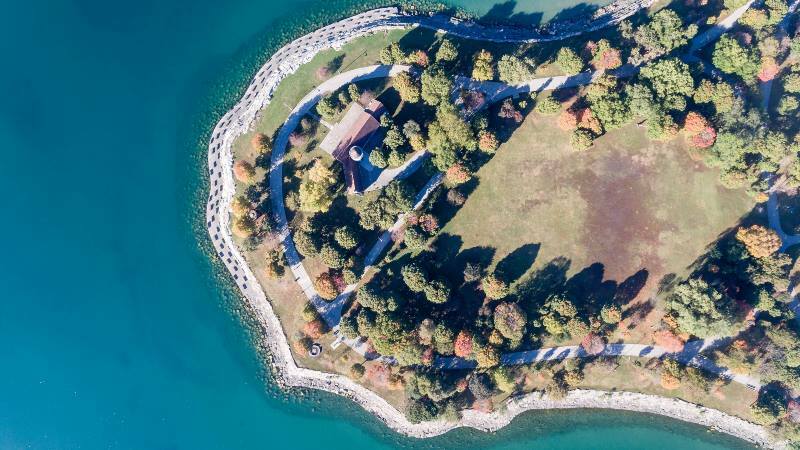 One of the best is Promontory Point which juts out onto the lake. Consider visiting when the weather is stormy to capture the beautiful movement of the waves and spray. The sailboats, canoes, jet skis and paddle boarders make the lake a shutterbug’s dream. I like to visit Lake Michigan in the early morning for the best shots of lake effect fog as well as the rising sunlight that shines on the city. 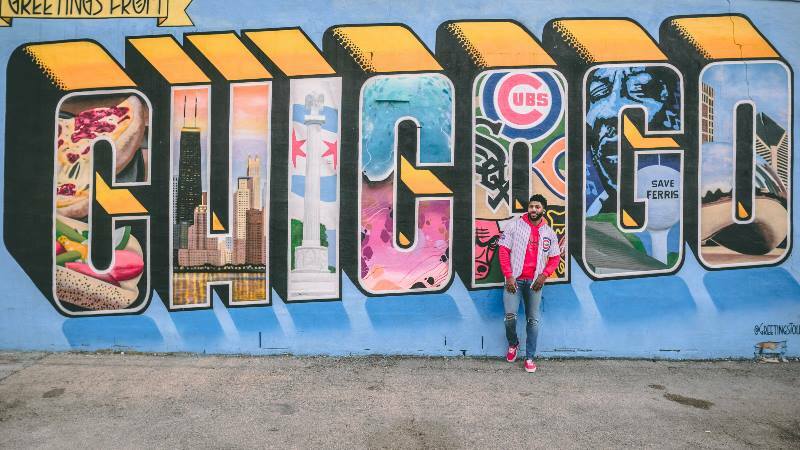 One of the best places to get a feel for Chicago is the “Greetings From” mural located in the Bucktown neighborhood. This beautiful piece of art features the iconic things that make Chicago great. The painting itself is great to photograph but consider trying different angles to include the mural as well as the variety of visitors passing by. Photograph this spot in the early evening to catch glimpses of commuters making their way home from work with the mural in the background. 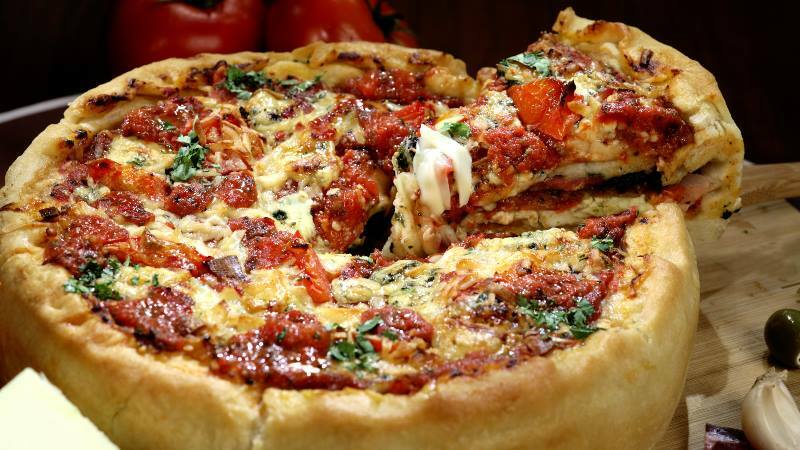 We’ve all heard of Chicago Deep Dish pizza but you never really understand it until you are in the Windy City. True deep-dish pizza not only takes a good hour to bake. Thanks to its vast amount of ingredients, but also requires a fork and knife to consume. 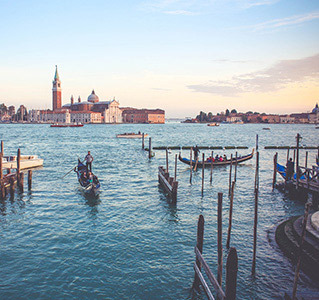 You’ll find many pizza places around the city, all with varying awards and accolades, but some of the best-known spots include those restaurants with Italian names like Giordano’s, Uno’s, Gino’s, and Lou Malnati’s. Try a few and taste for yourself why this coveted Chicago dish can’t be replicated appropriately anywhere else. 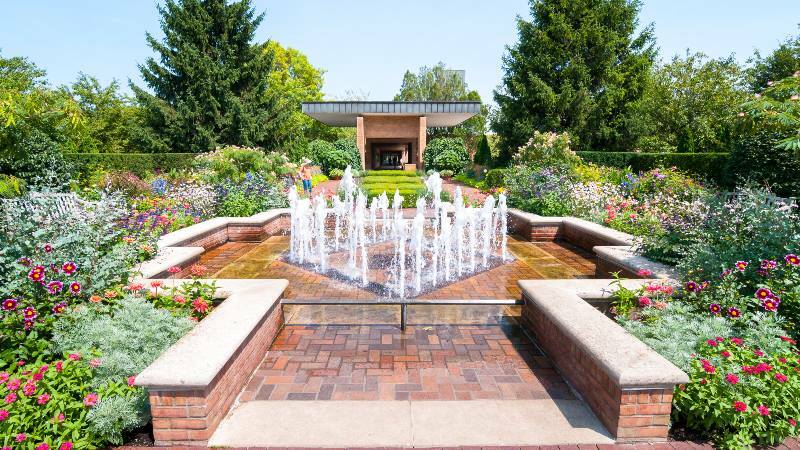 You’ll want to make a quick L-stop at The University of Chicago which boasts one of the most beautiful botanical gardens in the country. The garden serves as nature’s serene oasis in the middle of the busy metropolitan area. Visit during the week for plant focused shots of certain beautiful varieties. Head back at the weekend to capture silhouettes and visitors enjoying the gardens as well. We can’t make a guide about photographing Chicago without mentioning this unique sculpture located in Millennium Park. Cloud Gate, also commonly referred to as “The Bean,” is always surrounded by tourists and residents who will no doubt photo-bomb your selfie. The 110-ton steel structure has a polished exterior that allows it to mirror the surroundings. Some of the best photos of the piece don’t include the actual full sculpture itself. But the many faces and nearby people that you can photograph in its reflection. Consider climbing underneath The Bean to find other exciting angles as well as using different lenses as well. 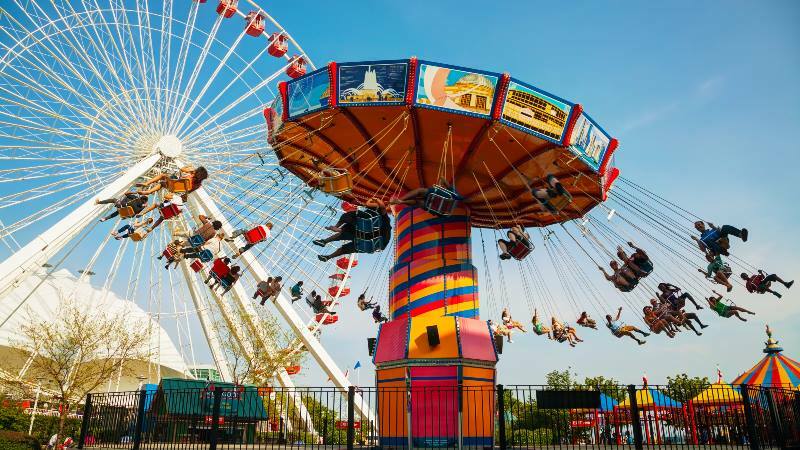 Many photographers know Navy Pier from the infamous Ferris Wheel, but the real view is not of the pier itself. Walk out onto the edge and turn back towards the city to capture a perfect shot of the many impressive skyscrapers that line the lake. You’ll find not only a gorgeous view of Chicago but can also appreciate the many different types of architecture in the skyline along Lake Shore Drive. I like spending the day out on the pier and grabbing a bite to eat while enjoying the view. Navy Pier also offers other photographic spots including the anchor at the end of the pier. Consider visiting just after dusk when the lights provide a peaceful glow on the city. 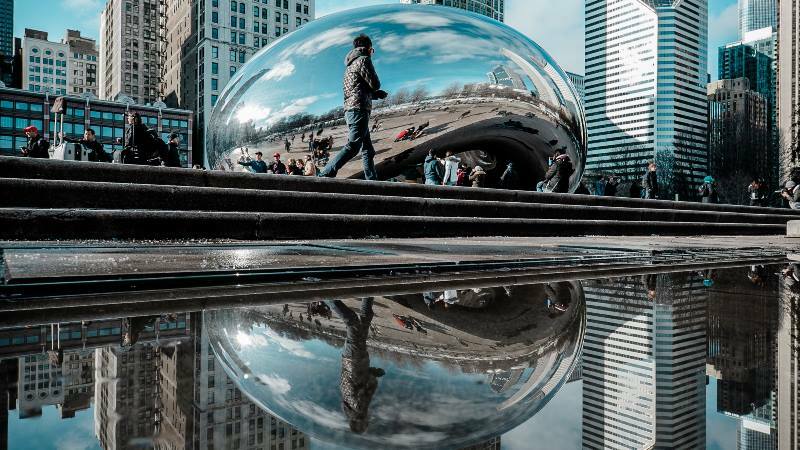 No matter what you are looking to shoot while in Chicago, you’ll find plenty of exciting things to capture all over the city. From picturesque waterfront opportunities to seeing the iconic and unique Chicago spots. You’ll find a wealth of places to explore armed with your camera. Who knows? Maybe I’ll see you out on the streets capturing the unique picture-perfect ways that are only known to Chicago. Ben Holt is a fresh air enthusiast and loves writing about it. Ben is always looking to make the most of a summer day, whether he is relaxing in his garden, hiking on an off-beaten trail or entertaining friends on his newly renovated patio.